1. PlayDrMom shares her favorite books about feelings. 2. 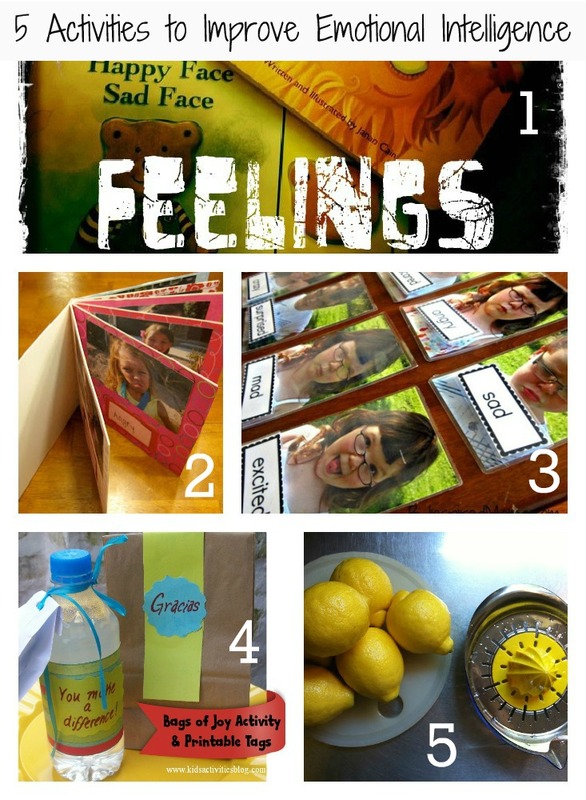 Create a DIY emotions board book with help from the tutorial at Love, Play, Learn. 3. Play a fun emotion matching game like the one at B-Inspired Mama. 4. I love this idea for teaching children to think of others' feelings as well as their own. Check out the bags of joy over at the Kids Activities Blog. 5. And if all else fails, what better lesson than to teach your kids that when life gives you lemons, you make lemonade? Find the recipe at A Childhood List. 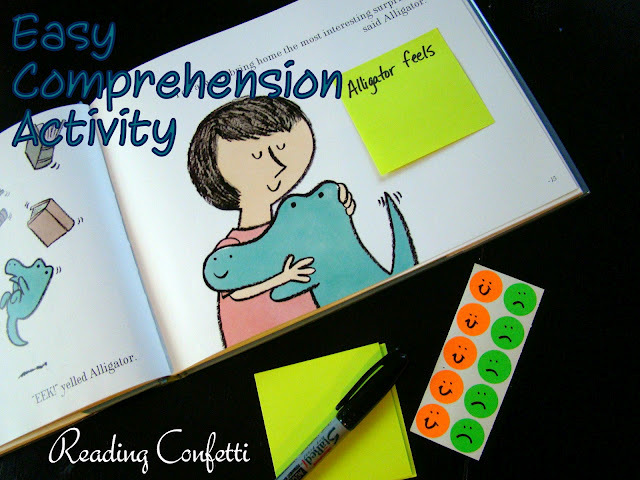 And check out a great way to focus on emotional intelligence using a character in a book with this easy comprehension activity. Wow! What a great list! Thanks SO much for including my post on books about emotions! I was also super glad to see B.Inspired Mama's post too ... it was inspired the package we sent her for the Love Books Summer Exchange! Thank you so much for featuring my emotions board book. This is a great list.